Before we know it, it’s going to be the time of year when road conditions begin to deteriorate. From leaves on the road to cold rain to winter storms, a plethora of conditions can affect the roads we drive on every single day. Unfortunately, these driving conditions aren’t just tougher on us as drivers. They’re tougher on our cars, too. To be more specific, these conditions are negatively affecting your tires. Sometimes the only way we know that our tires are beginning to lose their effectiveness is when we start to “feel” it. Increased stopping distance and a lack of traction is a scary feeling under any circumstance. 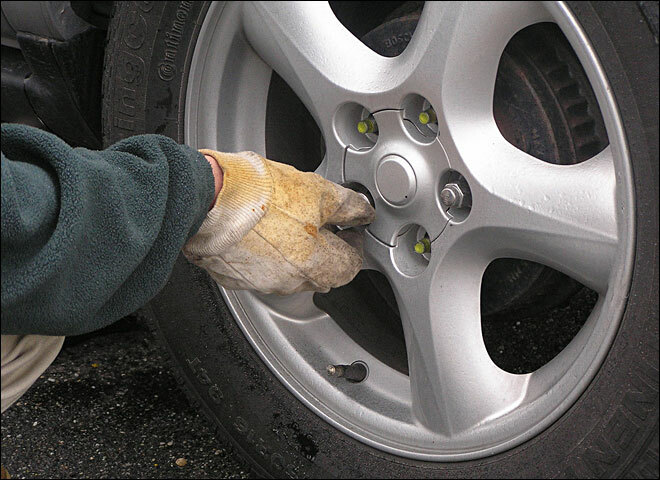 Let me give you some tire “numbers.” A brand new tire is measured at 10/32s. At 10/32s, when traveling at 50mph, it will take your vehicle approximately 195.2 ft to stop. When your tires start to wear and they measure 4/32’s, which is just a little less than half, the stopping distance at the same speed is increased to 290.0 ft! When your tire is at 2/32’s the stopping distance goes to 378.8 ft! That’s the length of a football field! Imagine hitting your brakes and having it take the length of a football field to have your vehicle come to a complete stop! That’s not just dangerous for you; it’s dangerous for other drivers on the road as well. Thankfully, you can do something about your tires before it’s too late. We are happy and proud to announce the opening of our Rothrock Express Tire Center. We at the Rothrock Family realize that you need something done, you need it done now. We have also extended our Express hour to 8:00pm during the week and until 2:00pm on Saturdays. So now can you not only have your oil and filter changes done with no appointment needed, you can also have all your tires needs done the same quick and easy way. We understand life is busy and we at the Rothrock Family of dealerships are here to make the servicing of your vehicle as easy as possible. Next Next post: October is National Car Care Month!